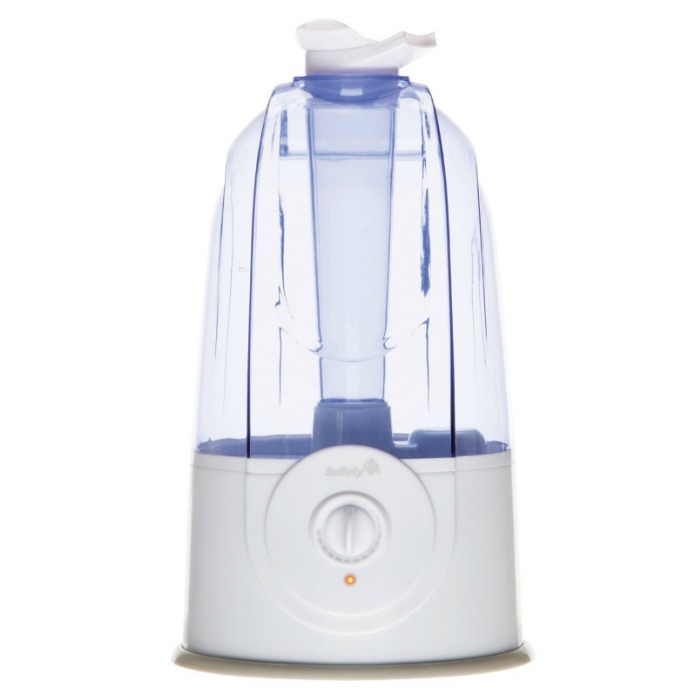 Safety 1st Ultrasonic 360 Humidifier Just $17.19! Down From $40! You are here: Home / Great Deals / Amazon Deals / Safety 1st Ultrasonic 360 Humidifier Just $17.19! Down From $40! Amazon has this Safety 1st Ultrasonic 360 Humidifier for just $17.19 (Reg. $40)! The Ultrasonic 360°Humidifier by Safety 1st brings moisture-rich air to the nursery. .. or any room of the house you choose, all year round. You can easily adjust the variable mist control for the perfect moisture level that’s right for your family. This humidifier includes 2 fully rotating mist outlets, letting you control the direction of the mist and giving you the ability to soothe two children in different beds at once. Designed to operate quietly, the humidifier provides a cool mist without any distraction from a noisy fan. Ultrasonic technology means that there are no expensive replacement filters to locate and buy. Simply top off the easy-fill tank with water and get 12 full hours of nursery coverage. If the tank becomes empty, the humidifier will automatically shut off for safety until the tank is refilled. With the Ultrasonic 360°Humidifier, you’ll be able to provide a healthy air environment year round, and temporarily increase the humidity if your child becomes congested.